Mercedes benz 1834 SK 4x2. Max capacity basket: 300 kg / 3 persons. Max system presure: 180 bar. 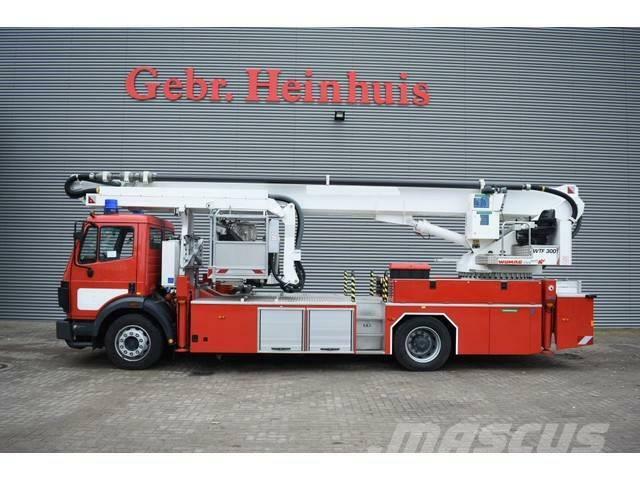 Max manual force: 360 N.
Max platform height: 30 meter. Max side range: 18 meter.